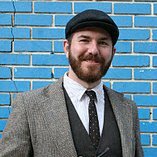 Is There Value in Reporting Changes in Subscores? I had the privilege of meeting with an organization that is reporting subscores to show how their employees are improving across multiple areas of their domain, as determined by an assessment given before and after training. They have developed some slick reports to show these scores, including the participant’s first score, second score (after training is complete), and the change in those scores. At first glance, these reports are pretty snazzy and seem to suggest huge improvements resulting from the training, but looks can be deceiving. I immediately noticed one participant had made a subscore gain of 25%, which sounds impressive—like he or she is suddenly 25% better at the tasks in that domain—but here is the fine print: that subscore was measured with only four items. 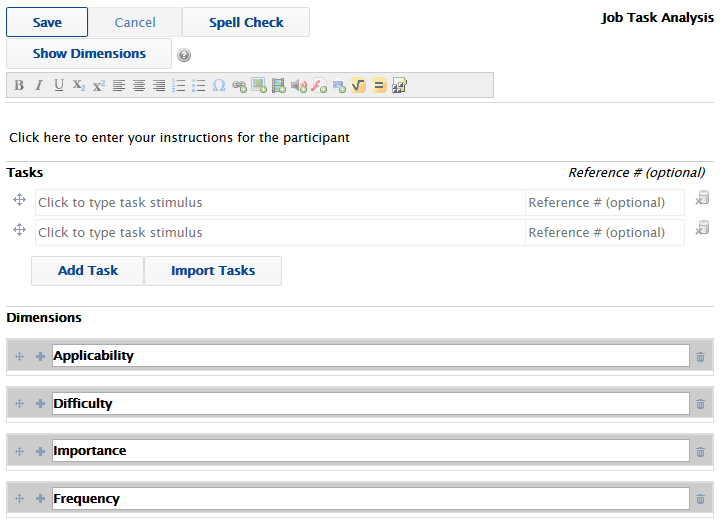 To put it another way, that 25% improvement means that the participant answered one more item correctly. 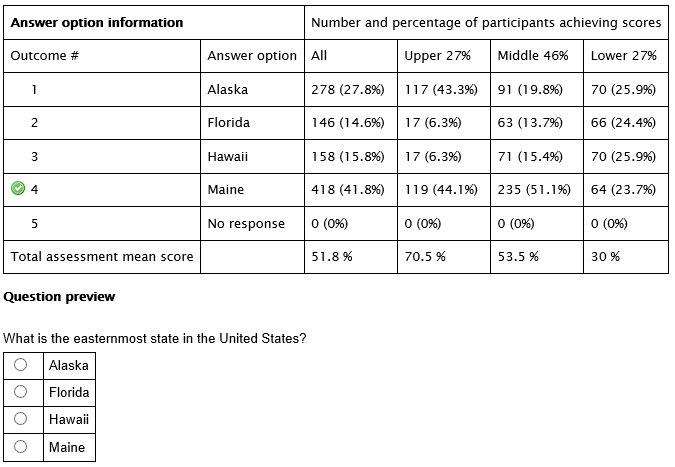 Other subscores were similarly underrepresented—most with four or fewer items in their topic. In a previous post, I reported on an article by Richard Feinberg and Howard Wainer about how to determine if a subscore is worth reporting. My two loyal readers (you know who you are) may recall that a reported subscore has to be reliable, and it must contain information that is sufficiently different from the information contained in the assessment’s total score (AKA “orthogonality”). In an article titled Comments on “A Note on Subscores” by Samuel A. Livingston, Sandip Sinharay and Shelby Haberman defended against a critique that their previous work (which informed Feinberg and Wainer’s proposed Value Added Ratio (VAR) metric) indicated that subscores should never be reported when examining changes across administrations. Sinharay and Haberman explained that in these cases, one should examine the suitability of the change scores, not the subscores themselves. One may then find that the change scores are suitable for reporting. A change score is the difference in scores from one administration to the next. If a participant gets a subscore of 12 on their first assessment and a subscore of 30 on their next assessment, their change score for that topic is 18. This can then be thought of as the subscore of interest, and one can then evaluate whether or not this change score is suitable for reporting. Change scores are also used to determine if a change in scores is statistically significant for a group of participants. If we want to know whether a group of participants is performing statistically better on an assessment after completing training (at a total score or subscore level), we do not compare average scores on the two tests. Instead, we look to see if the group’s change scores across the two tests are significantly greater than zero. This is typically analyzed with a dependent samples t-test. The reliability, orthogonality, and significance of changes in subscores are statistical concerns, but scores must be interpretable and actionable to make a claim about the validity of the assessment. This raises the concern of domain representation. Even if the statistics are fine, a subscore cannot be meaningful if the items do not sufficiently represent the domain they are supposed to measure. Making an inference about a participant’s ability in a topic based on only four items is preposterous—you do not need to know anything about statistics to come to that conclusion. To address the concern of domain representation, high-stakes assessment programs that report subscores will typically set a minimum for the number of items that are needed to sufficiently represent a topic before a subscore is reported. For example, one program I worked for required (perhaps somewhat arbitrarily) a minimum of eight items in a topic before generating a subscore. If this domain representation criterion is met, one can presumably use methods like the VAR to then determine if the subscores meet the statistical criteria for reporting. In an earlier post, Questionmark’s Julie Delazyn listed 11 tips to help prevent cheating. The third item on that list related to minimizing item exposure; i.e., limiting how and when people can see an item so that content will not be leaked and used for dishonest purposes. During a co-presentation with Manny Straehle of Assessment, Education, and Research Experts at a Certification Network Group quarterly meeting, I presented a set of considerations that can affect the severity of item exposure. My message was that although item exposure may not be a problem for some assessment programs, assessment managers should consider the design, purpose, candidate population, and level of investment for their assessment when evaluating their content security requirements. Using different assessment forms lowers the number of participants who will see an item in delivery. Having multiple forms also lowers the probability that someone with access to a breached item will actually get to put that information to use. 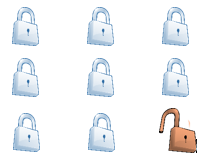 Many organizations achieve this by using multiple, equated forms which are systematically assigned to participants to limit joint cheating or to limit item exposure across multiple retakes. Some organizations also achieve this through the use of randomly generated forms like those in Linear-on-the-Fly Testing (LOFT) or empirically generated forms like those in Computer Adaptive Testing (CAT). Assessment forms are often cycled in and out of production on a set schedule. Decreasing the amount of time a form is in production will limit the impact of item exposure, but it also requires more content and staff resources to keep rotating forms. Having a lot of items can help you make lots of assessment forms, but this is also important for limiting item exposure in LOFT or CAT. Item banks can also be rotated. For example, some assessment programs will use an item bank for particular testing windows or geographic regions and then switch them at the next administration. If your item bank can support it, you may also want to put an exposure limit on items or assessment forms. For example, you might set up a rule where an assessment form remains in production until it has been delivered 5,000 times. After that, you may permanently retire that form or shelve it for a predetermined period and use it again later. An extreme example would be an assessment program that only delivers an item during a single testing window before retiring it. The limit will depend on your risk tolerance, the number of items you have available, and the number of participants taking the assessment. Exposure limits are especially important in CAT where some items will get delivered much more frequently than others due to the item selection algorithm. When participants are only allowed to take a test during a short time period, there are fewer opportunities for people to talk about or share content before the testing window closes. Short testing windows may be less convenient for your participant population, but you can take advantage of the extra downtime to spend time detecting item breaches, developing new content, and performing assessment maintenance. In my next post, I will provide an overview of methods for identifying instances of an item breach. A client recently asked me if there is a way to count the number of each type of item in their item bank, so I pointed them toward the Question Type Report in Questionmark Analytics. While this type of frequency data can also be easily pulled using our Results API, it can be useful to have a quick overview of the number of items (split out by item type) in the item bank. The Question Type Report does not need to be run frequently (and Analytics usage stats reflect that observation), but the data can help indicate the robustness of an item bank. This report is most valuable in situations involving topics for a specific assessment or set of related assessments. While it might be nice to know that we have a total of 15,000 multiple choice (MC) items in the item bank, these counts are trivial unless we have a system-wide practical application—for example planning a full program translation or selling content to a partner. This report can provide a quick profile of the population of the item bank or a topic when needed, though more detailed item tracking by status, topic, metatags, item type, and exposure is advisable for anyone managing a large-scale item development project. Below are some potential use cases for this simple report. The Question Type Report’s value is primarily its ability to count the number of each type of item within a topic. If we know we have 80 MC items in a topic for a new assessment, and they all need be reviewed by a bias committee, then we can plan accordingly. If we are equating multiple forms using a common-item design, the report can help us determine how many items go on each form and the degree to which the forms can overlap. Even if we only have one form, knowing the number of items can help a test developer check that enough items are available to match the blueprint. If the report indicates that there are plenty of MC items ready for future publications, but we only have a handful of essay items to cover our existing assessment form, then we might instruct item writers to focus on developing new essay questions for the next publication of the assessment. 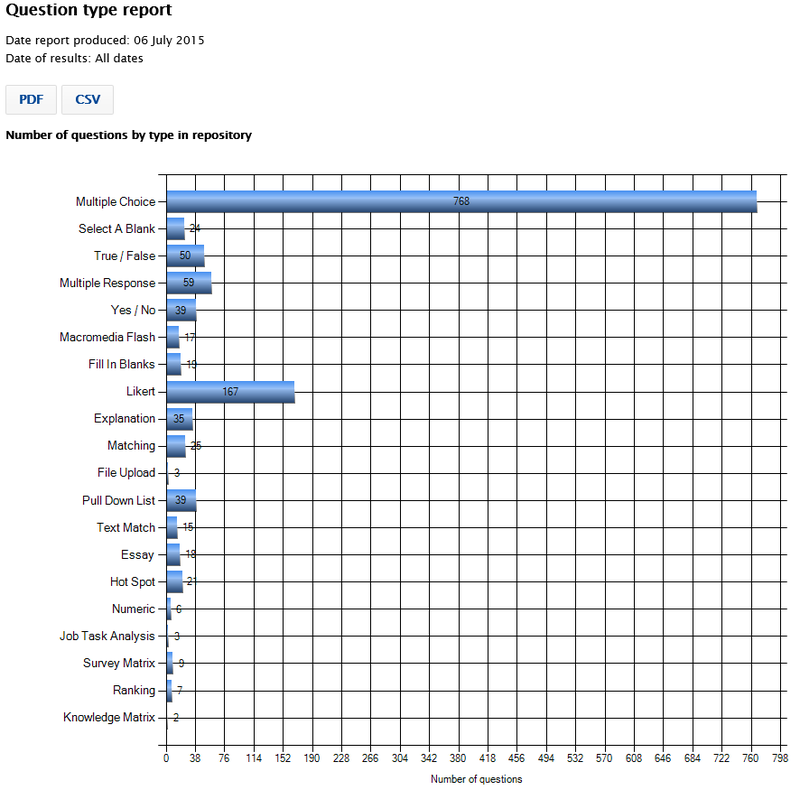 Example of a Question Type Report showing the frequency distribution by item type.